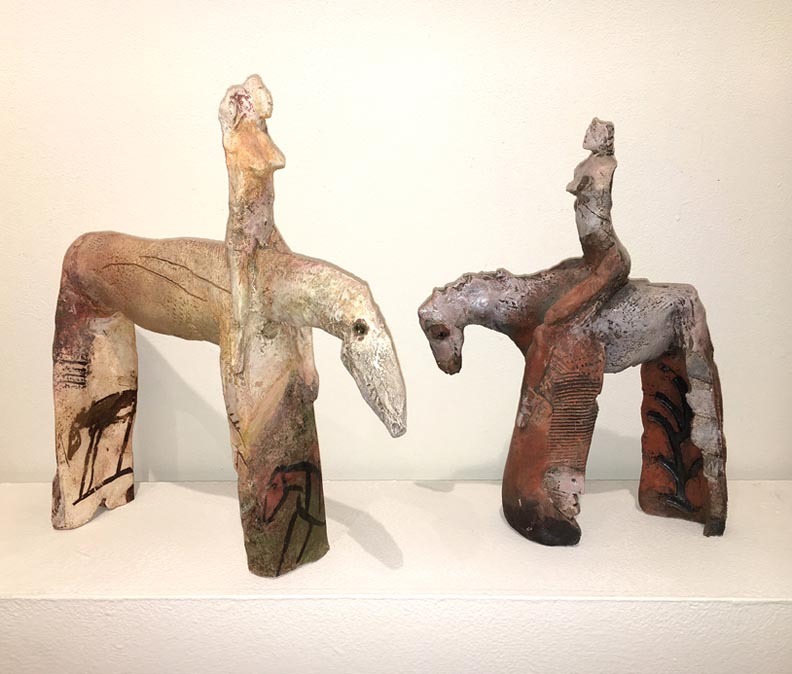 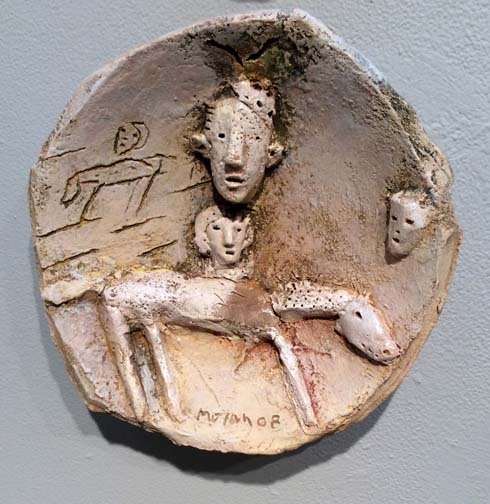 "Painted Horse" / "Burnt Horse"
With stylistic references ranging from Giacometti to classic Etruscan urns, Mike Moran balances ancient with contemporary to create content-rich, figurative sculpture, permeated with the sensation of passionate and transformative experiences of a life lived. 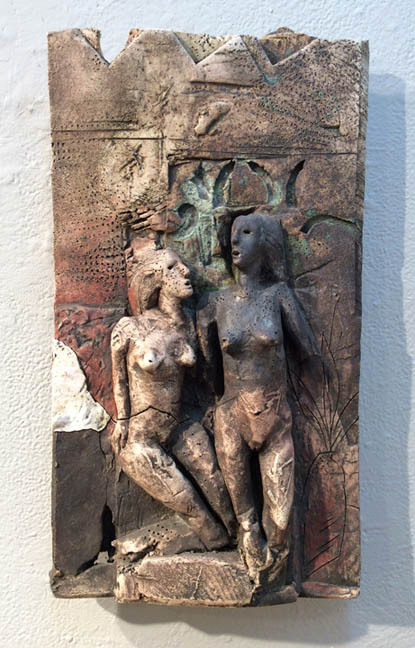 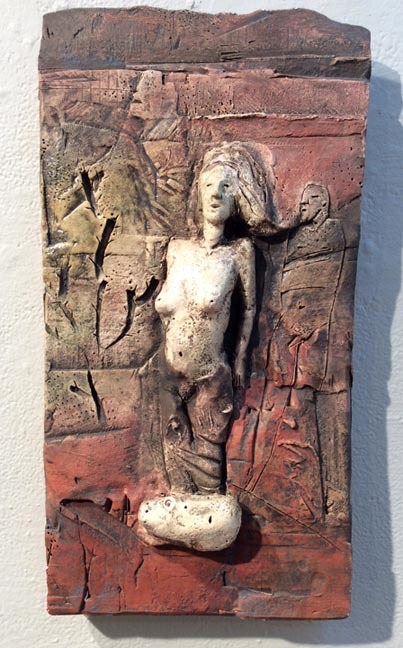 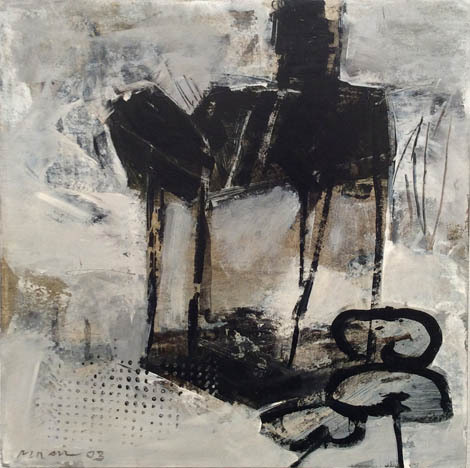 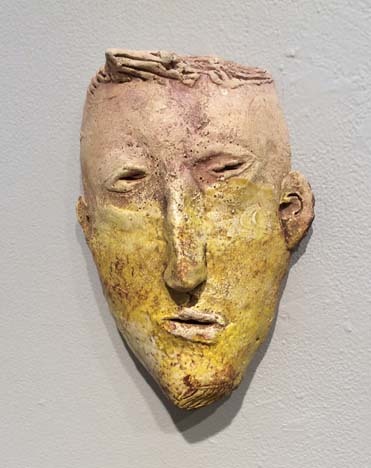 Moran is a painter, a print-maker, and a sculptor, although he is best known for his ceramic works and his concrete sculptures that utilize consciously weathered metal and additions of broken glass or clay. 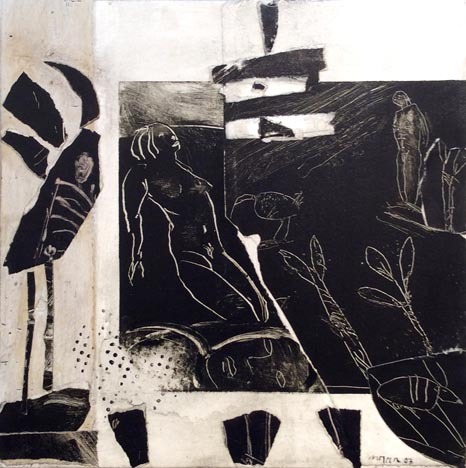 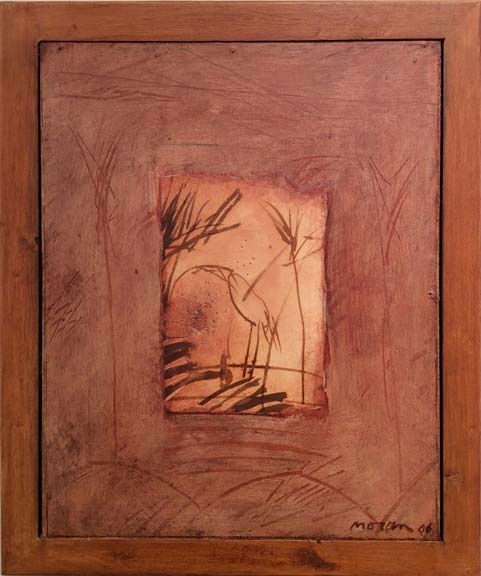 Transfixing potent and primal images to his forms by staining, etching, and scratching surfaces, Moran transfuses his work with animal, mystical, and visionary content. 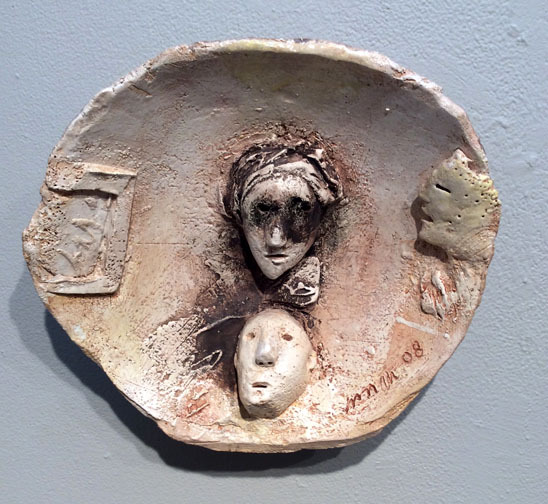 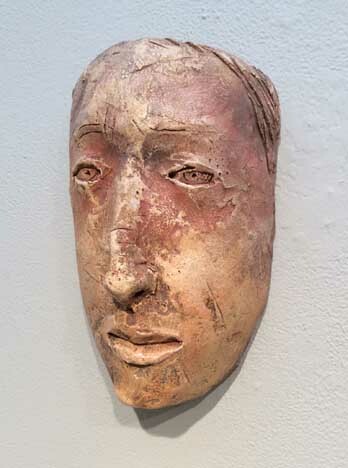 Mike Moran has exhibited extensively in the Northwest and Northern California, and his work has been reviewed in such publications as Sculpture, American Ceramics, Studio Potter, and Ceramics Monthly.